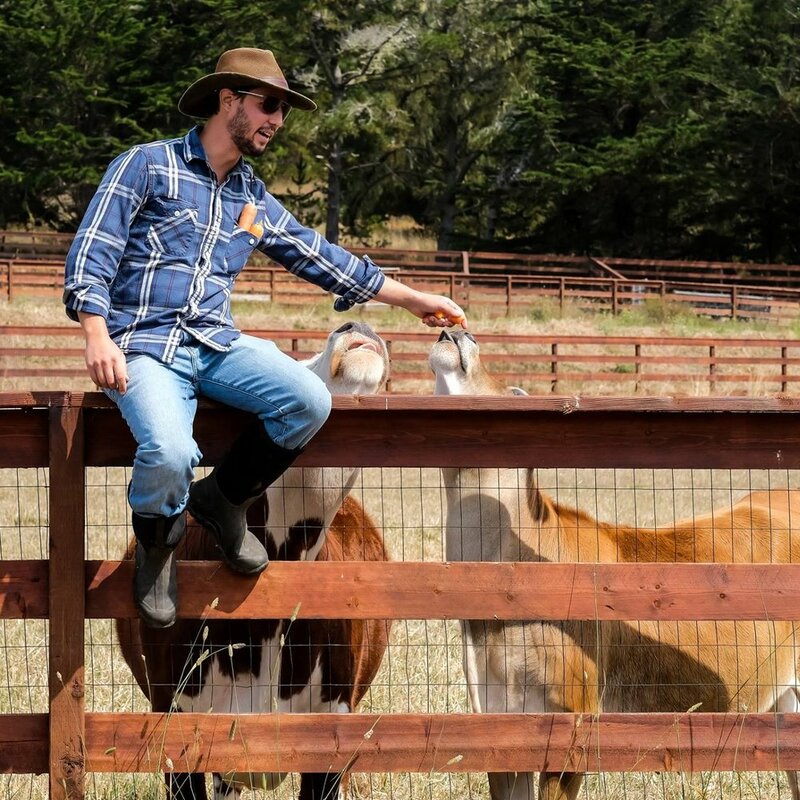 Sweet Farm was created in 2015 by two dedicated animal rights supporters, Anna Sweet and Nate Salpeter who wanted to create a sanctuary to increase advocacy and awareness for farmed animals, while leaning on their backgrounds in technology to enable global impact. Sweet Farm cares for more than 100 animals including over 75 curious chickens and roosters, 6 silly goats, 3 snuggly sheep, 5 hungry piggies, 2 friendly cows, a pond filled with colorful birds, one wise stallion, a handful of barnyard cats, and one unforgettable llama named Paco. Anna Sweet and Nate Salpeter created Sweet Farm with a dream to help end factory farming. The organization is run by a dedicated team and Board of Directors. Through animal rescue, education, and hands-on agricultural programs, we provide positive experiences and simple steps people can take to live a more humane, compassionate, and sustainable life. Sweet Farm is a growing nonprofit organization, and we are grateful for our supporters and those interested in our mission. Take a look at some highlights, interviews, and special stories.